Looking for a personalized experience? Whether you're celebrating a birthday or planning a bachelor or bachelorette party, we've got you covered. We offer a variety of guided, walking bourbon tasting tours in and around Downtown Louisville at some of the city's best bars, restaurants, and urban distilleries. We've partnered with some of our favorite businesses like Flying Axes and Against the Grain Brewery to offer unique tours and tastings you won't find anywhere else. In addition to our full three-stop walking tours, we offer mini tours upon request. Choose from a one- or two-stop mini tour to fit your group's needs. 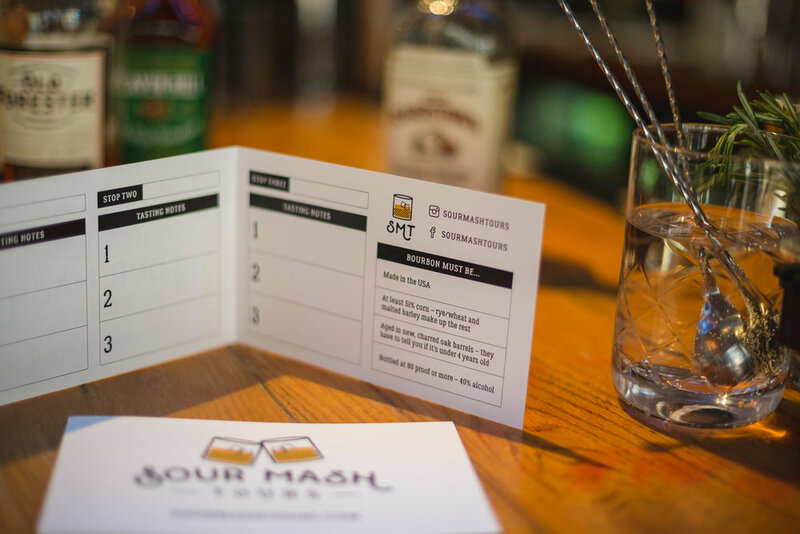 Sign up with your email address to receive news and updates from Sour Mash Tours. We won’t be a bugaboo.